MANILA, Philippines - The PLDT Home Ultera defeated Philippine Army after the very tough five-set match in Game 3 to clinch the Shakey's V-League Season 12 Open Conference crown on Sunday, May 31 at the jampacked The Arena in San Juan. 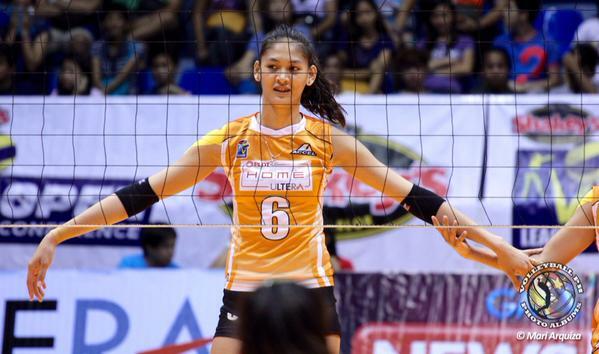 The Ultra-fast Spiker Alyja Daphne "Jaja" Santiago named the Most Valuable Player (MVP) of the conference. Santiago made 17 points in support of tournament MVP Alyssa Valdez's 29. More importantly, the 6-foot-5 National University (NU) Lady Bulldogs star helped PLDT defense at the net, blocking and changing up the vaunted Army attacks throughout the series. 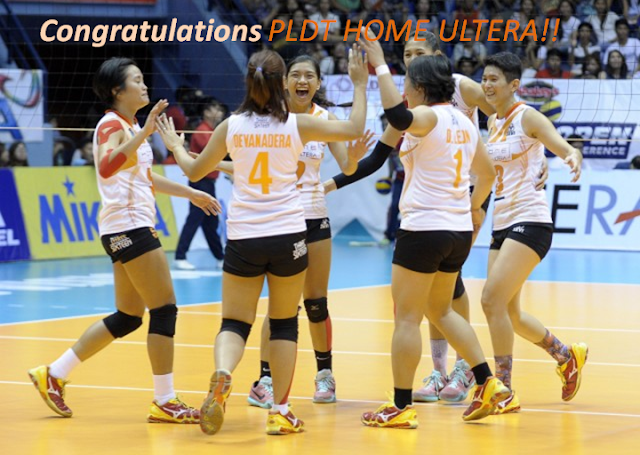 Ultra-fast Spikers won the final two sets to rally back from a 2-1 deficit to win the title. With the fifth set tied at 13-all, veteran Suzanne Roces scored on a quick hit to put her team within championship point. 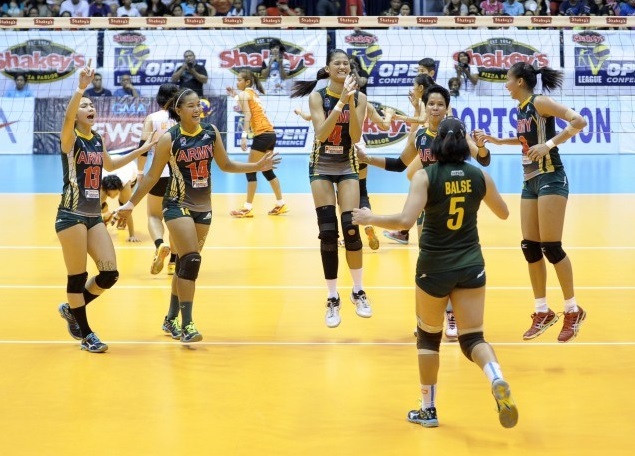 Jaja Santiago then foiled an Army attack to give PLDT the hard-earned win.